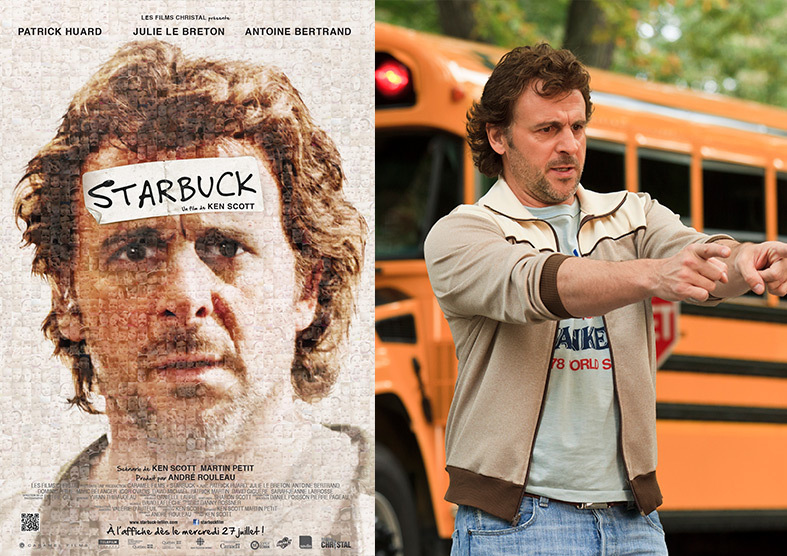 Starbuck is a 2011 Canadian comedy film directed by Ken Scott and written by Scott and Martin Petit. 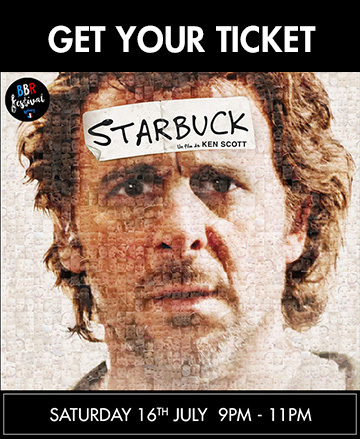 It stars Patrick Huard (Bon Cop, Bad Cop), Antoine Bertrand, and Julie LeBreton as the main character, his friend/lawyer, and his girlfriend, respectively. In a 1988 prologue, David Wozniak is at a Quebec sperm bank making a donation. Twenty-three years later, in 2011, he is a hapless deliveryman for his family’s butcher shop, pursued by thugs whom he owes $80,000. His girlfriend Valérie is pregnant with his child. One day, David returns from work to find a lawyer from the sperm bank who tells him he has fathered 533 children. Of those, 142 have joined a class action lawsuit to force the fertility clinic to reveal the identity of “Starbuck”, the alias he used as a sperm donor. David’s friend and lawyer represents him as he tries to keep the records sealed. He provides David with profiles of each party to the lawsuit: David tracks down several of them, finding moments for providing help or encouragement. One is a severely disabled young man he visits in an institution. At one point, tailing one of them, David finds himself at a meeting of the plaintiffs in the lawsuit against him. David decides to identify himself, but after the thugs assault his father, he agrees with his lawyer to sue the sperm bank for damages. He wins the lawsuit, receives $200,000, and keeps his identity secret. David has regrets, but his lawyer advises him that revealing his identity would require him to return the money he won from the lawsuit. After his father gives him his share of the family business so he can pay off his debt, David sends an e-mail identifying himself to the media. He goes to Valerie’s house as she is going into premature labour. At the hospital, his baby is born, he proposes to Valerie, and many of the children show up to see him.